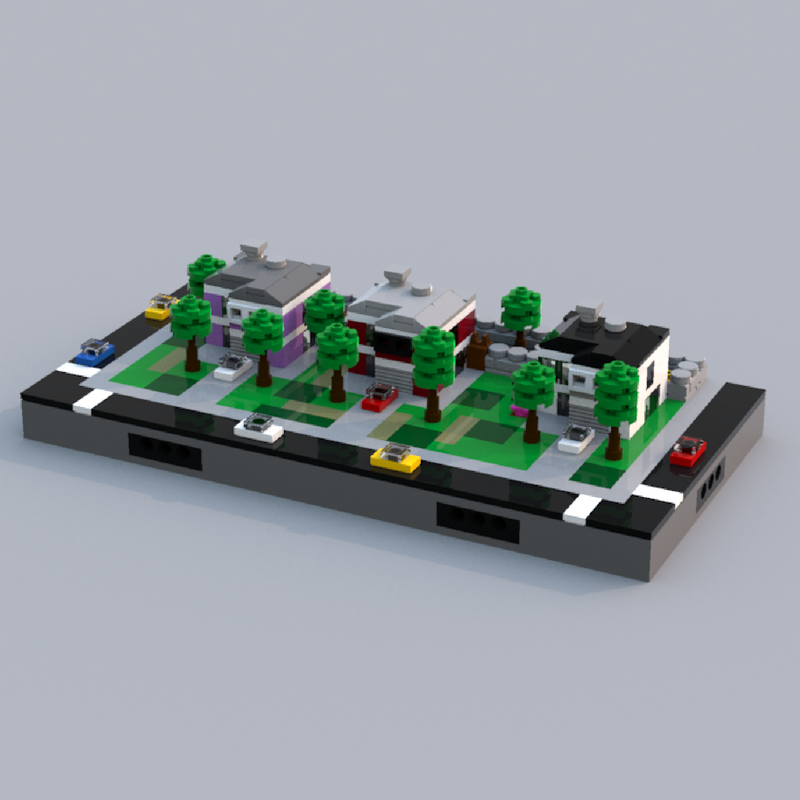 Use this modern residential street to add a touch of modern style to your micro-city layout. 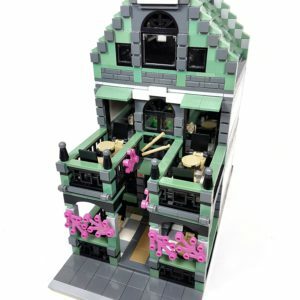 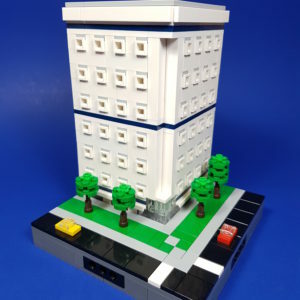 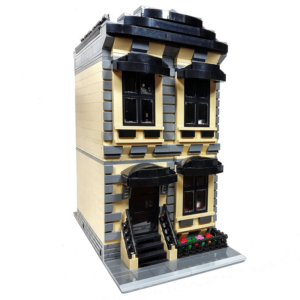 At 16×32 studs, this micro-city module covers half a city block! 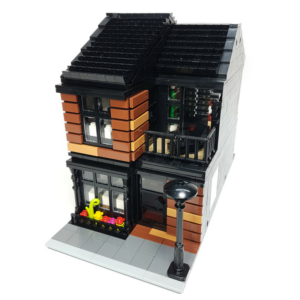 The 3 modern homes within this build all have 2 floors, a parking garage, and a backyard with a patio. 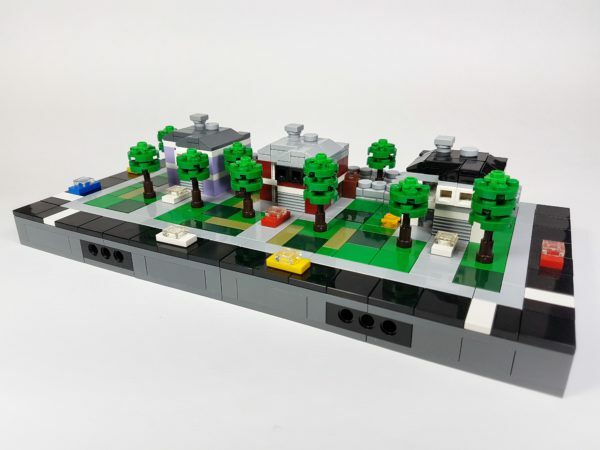 Breaking up the green space around the homes are multiple flower beds, as well as 9 trees scattered across the build. 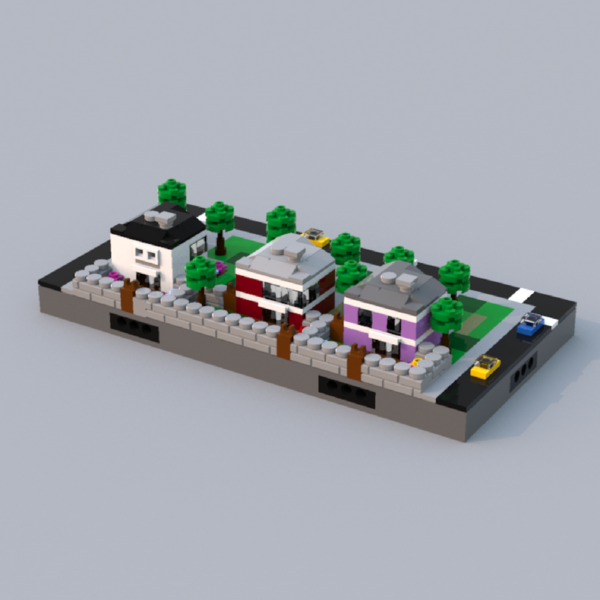 Re-create this build with modified home designs to create large-scale modern neighborhoods. Colours can be swapped for anything you prefer or have available in your parts collection!